A plane makes an emergency landing on the 23 Freeway in Moorpark on Monday, Jan. 11, 2016. 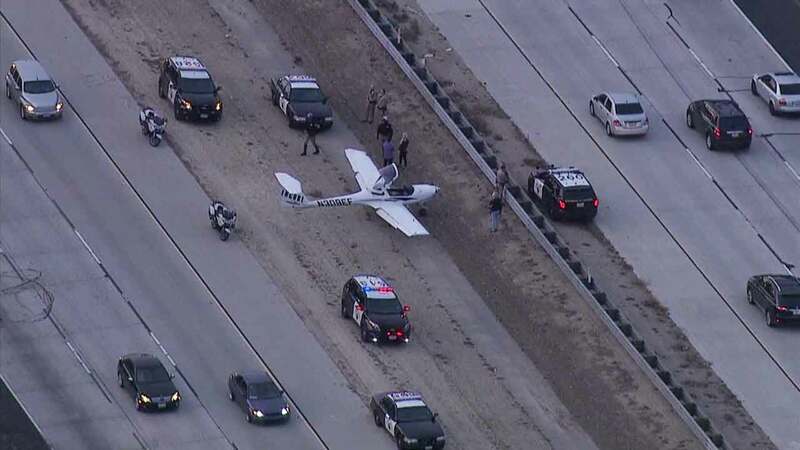 MOORPARK, Calif. (KABC) -- An airplane made an emergency landing on the 23 Freeway in Moorpark on Monday, according to the California Highway Patrol. Troopers said the small plane, carrying two people, landed near Tierra Rejada Road. CHP said multiple vehicles stopped as the airplane landed safely. There were no injuries reported, according to the CHP.